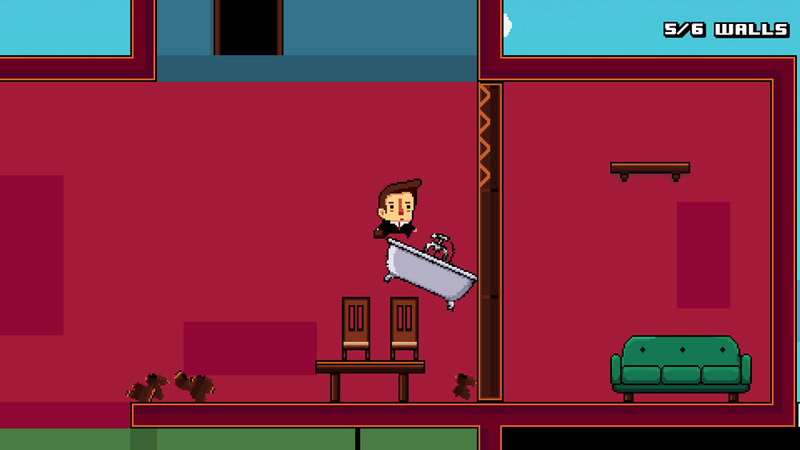 "A classic style platform game with a difference!" 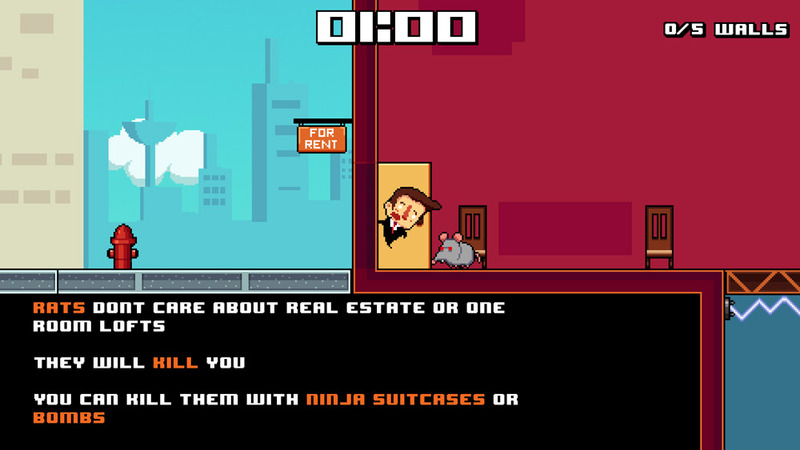 Loft is in the air is a fun little platform game where you play as a real estate agent who has a high demand for one room lofts in his area, but lofts are at a premium and what can you do to if there’s no more loft spaces to be sold? 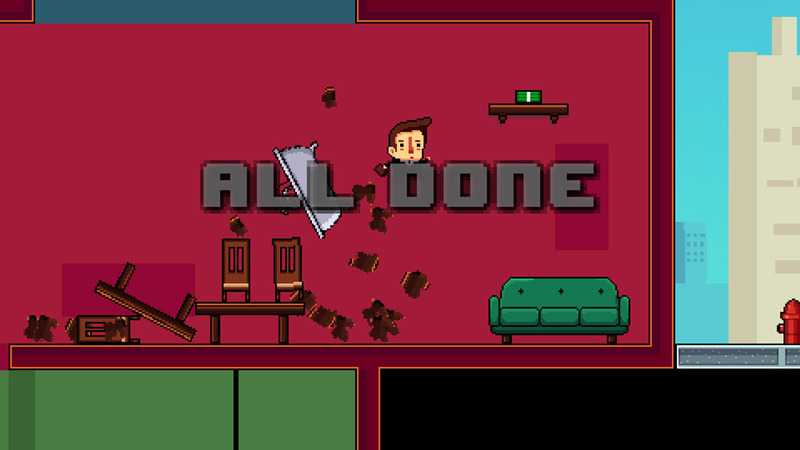 Well you destroy the houses until they are just one room and that’s where the fun starts, you must use your special runs and jumps to destroy the walls in each house until there is not left, causing carnage and mess everywhere but making that house in to a much more appealing prospect for a respective buyer, after you’ve destroyed each wall inside the house you will then be able to sell it to a buyer with that money you can then buy special power ups and things to make your home “renovations” easier! After the tutorial and the first level of Loft is in the air you will also start to face rats in some of the houses, dangerous rats who have the ability to kill you so you must master the ninja suitcase move or plant bombs to dispose of the rats. 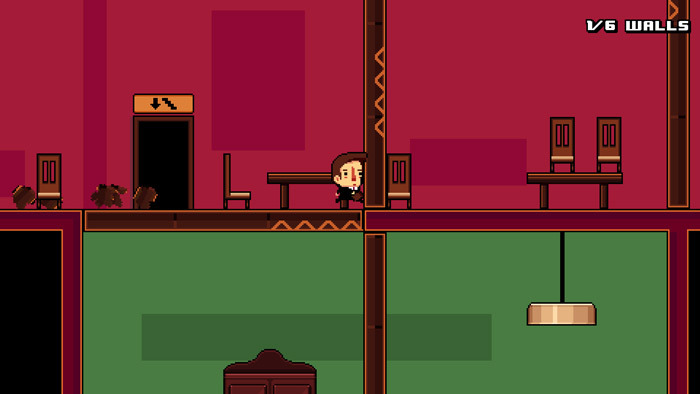 A fun game which mixes classic platform mechanics and a satirical look at the current real estate market in a really fun and entertaining single player game. You can download Loft is in the air here for free.